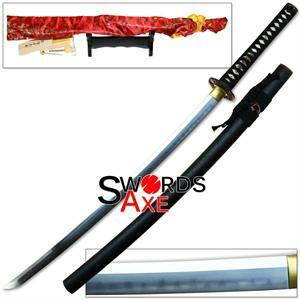 1095 High Carbon Steel is that which has been founded with a carbon content at or above .95%. 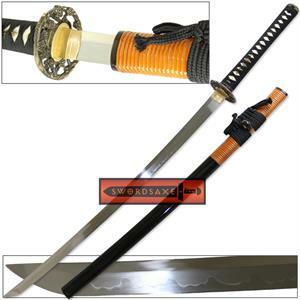 The higher carbon content of 1095 steel makes it more rigid and solid than 1060 or 1045 steels. 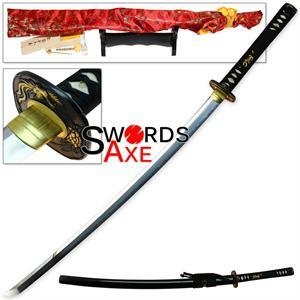 If you plan to use your sword to cut hard targets, 1095 steel is ideal, as you can literally feel the difference when compared to lower carbon steels. 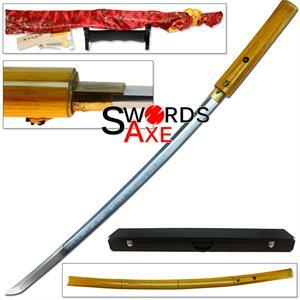 1095 Steel is rock solid during a cut, transferring all of it's cutting energy into your target. 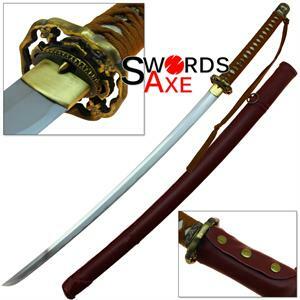 Anytime a blade begins to wobble or flex during a cut, it loses momentum and energy is reflected back into the sword, slowing or stopping the cut. 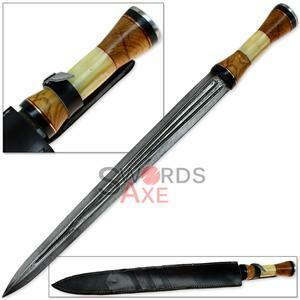 Where a 1045 or 1060 steel sword blade will wobble upon cutting, a 1095 steel blade will make no such compromise. 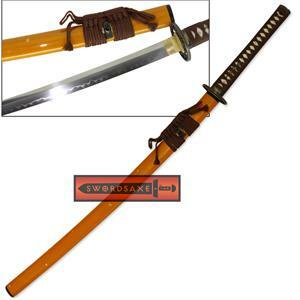 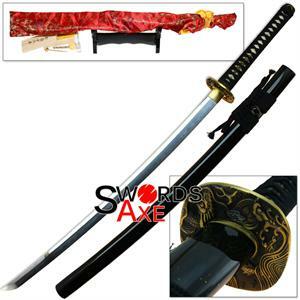 Our 1095 High Carbon Steel sword blades are forged from sources within Japan.